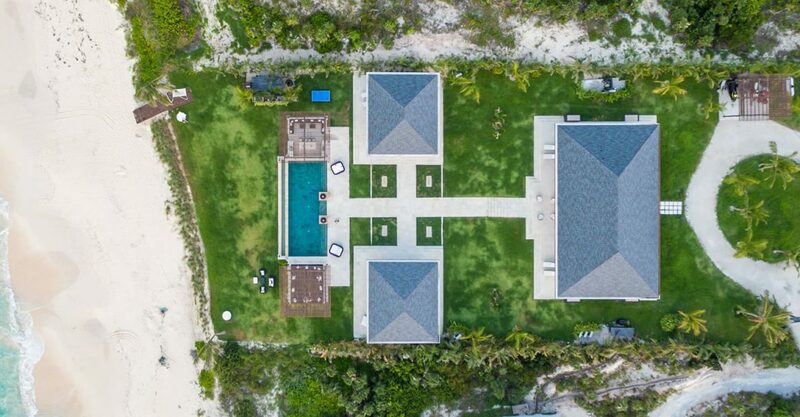 4 bedroom luxury beachfront estate for sale in The Bahamas in a prime spot on prestigious Banks Road, Governor’s Harbour in Eleuthera. 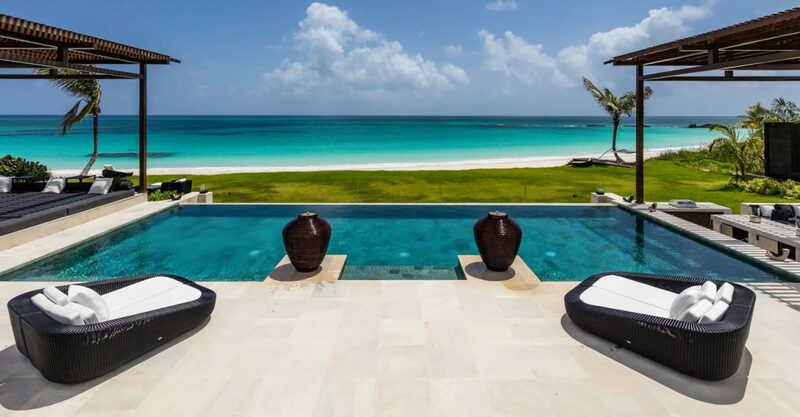 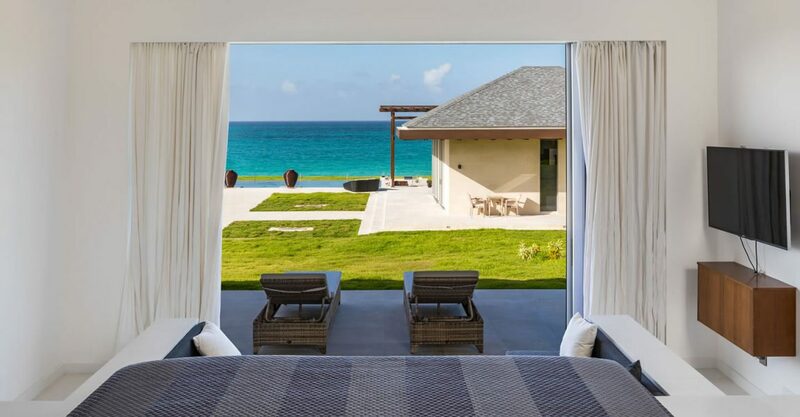 Searching for luxury real estate in Eleuthera, Bahamas? 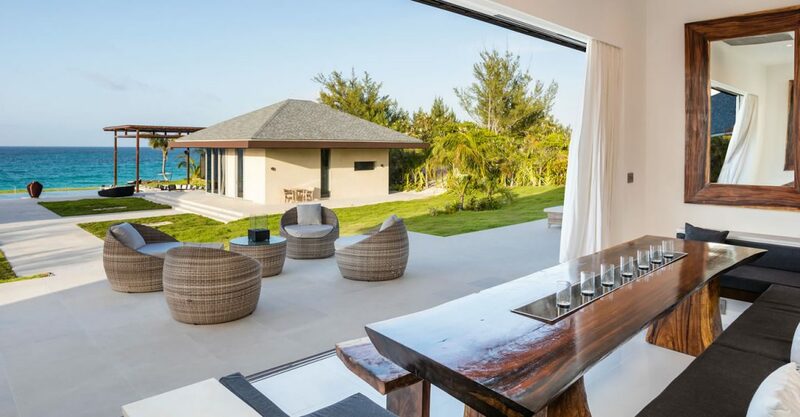 This is without a doubt one of the finest homes for sale in Eleuthera. 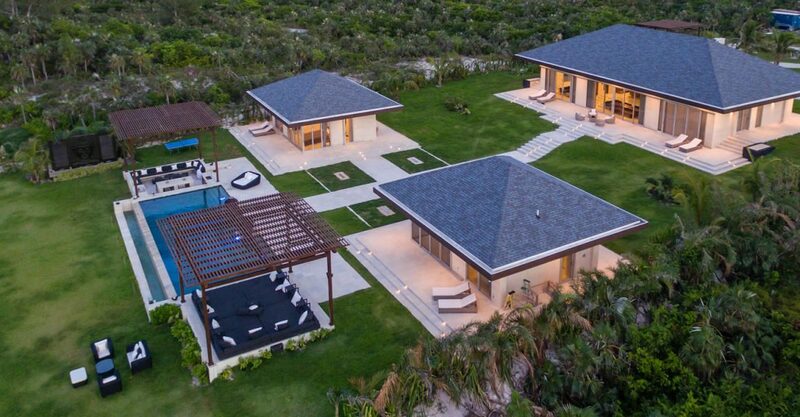 Spanning 1.3 acres in a prime beachfront position on prestigious Banks Road, Governor’s Harbour in Eleuthera, this estate combines an idyllic, secluded and private setting with stunning design, comfort and state-of-the-art features. 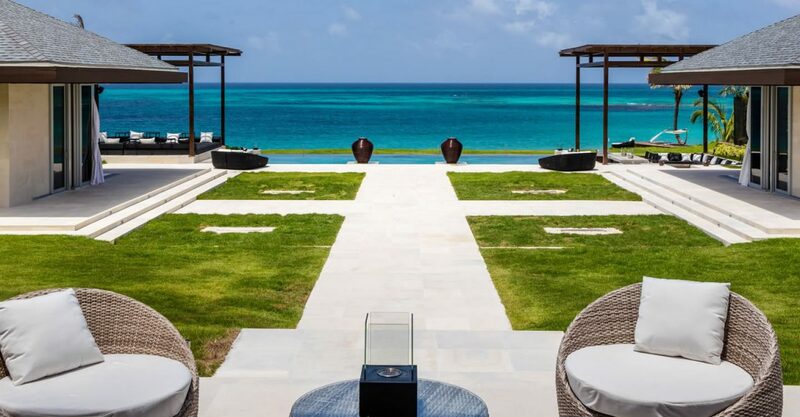 This dream home offers 15,000 square feet (1,393 square meters) of magnificent indoor / outdoor living spacing, including 7,500 square feet (697 square meters) under roof and approximately 4,000 square feet (371 square meters) under air. 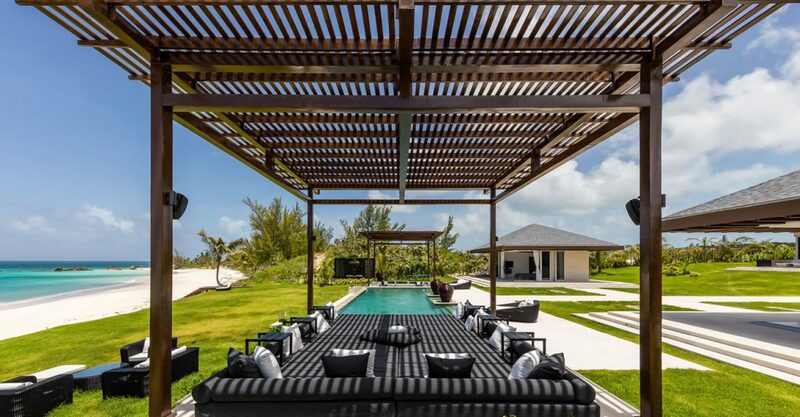 Set in manicured grounds, the estate comprises a spectacular main house plus 2 pavilions in front of a 50 foot (15 meter) swimming pool flanked by a 400 square foot elevated daybed on one side and a sunken sala featuring BBQ/bar/dining lounge on the other. 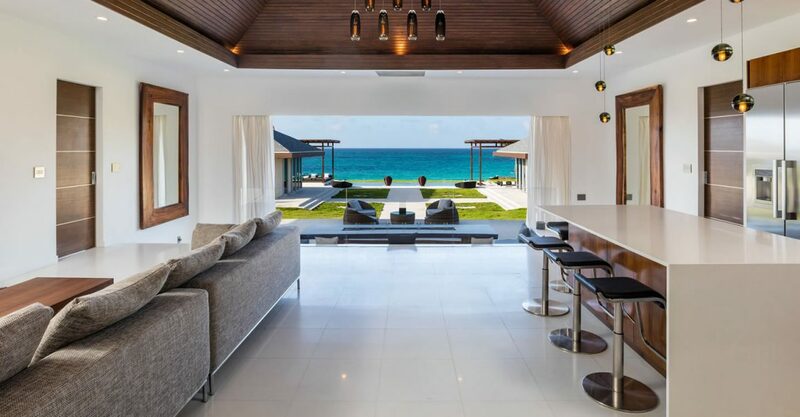 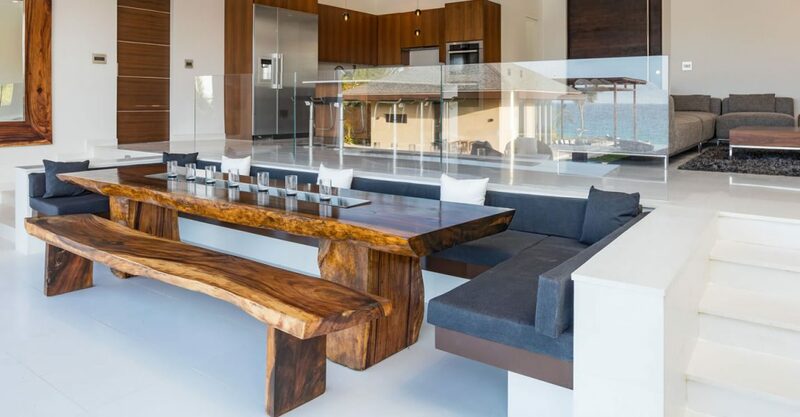 The main house features a spacious central area with an open floor plan featuring a kitchen, family area, along with a sunken dining area offering breathtaking ocean views. 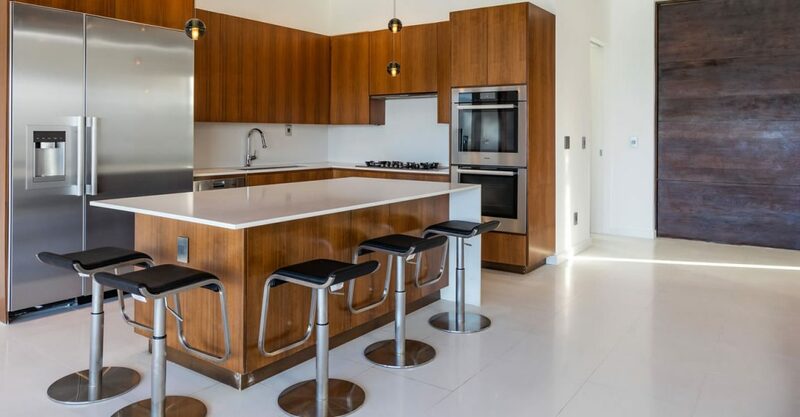 The house also includes a separate pantry and washroom. 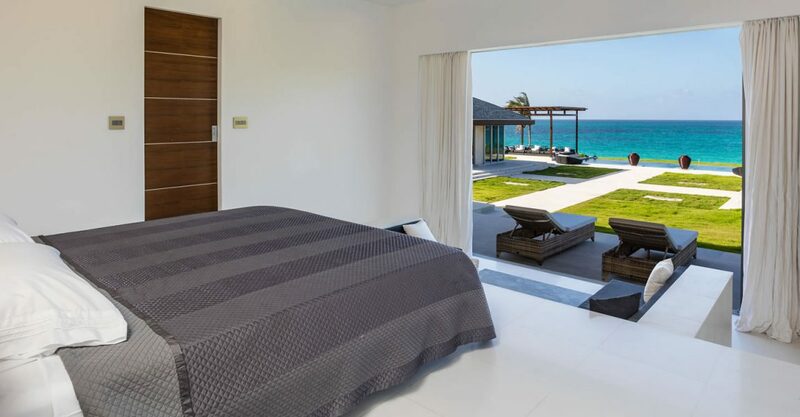 2 master suites are located within each house, located either side of the central area. 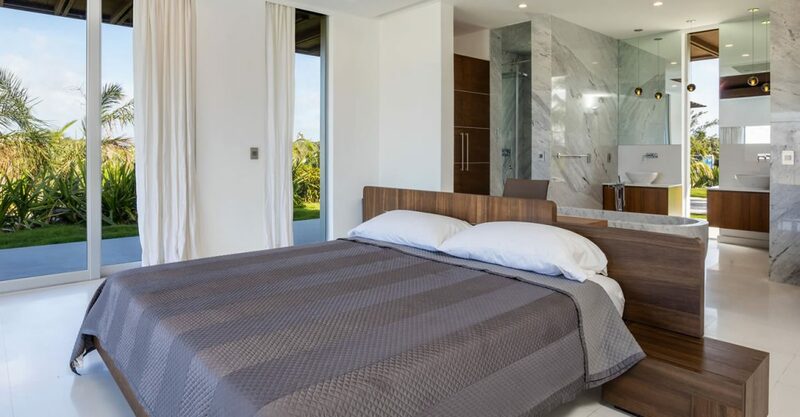 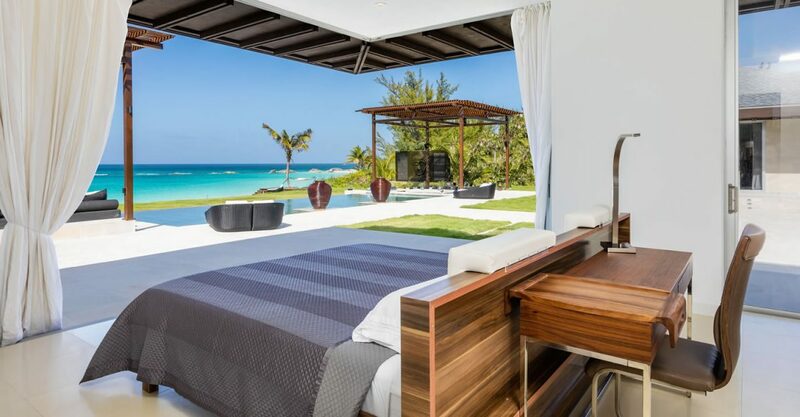 Both bedrooms include their own sunken sofa area, en suite bathroom with oversized shower rooms, dual sinks and high-end oversized marble bathtubs. 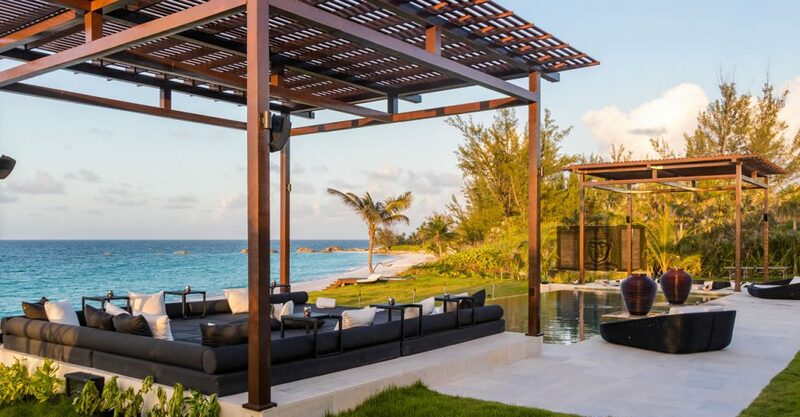 Walls of glass frame the seaside and a 10-foot fully-furnished wrap-around patio provides seamless indoor-outdoor living. 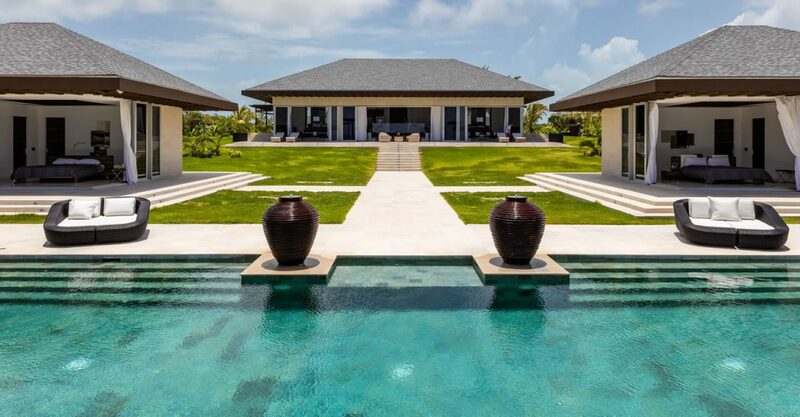 The remaining 2 bedrooms are housed in the 2 pavilions. 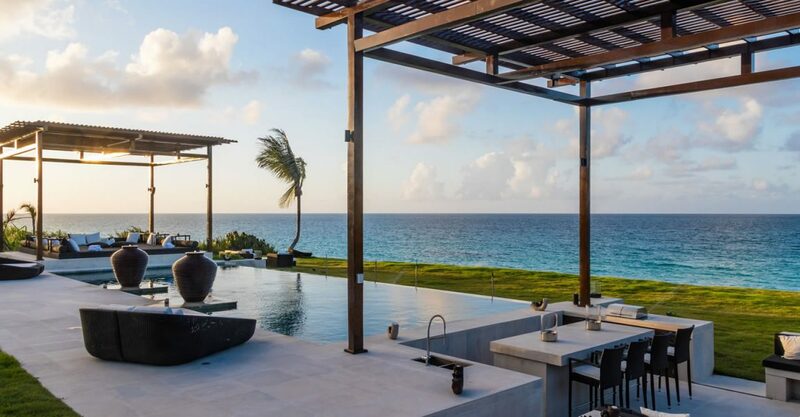 Both feature walls of glass that open electronically to a large surrounding patio with access to the pool and its amenities, steps from what is essentially a private beach. 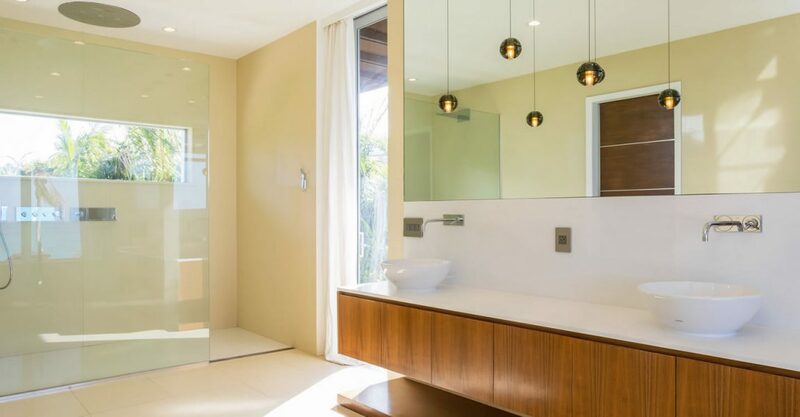 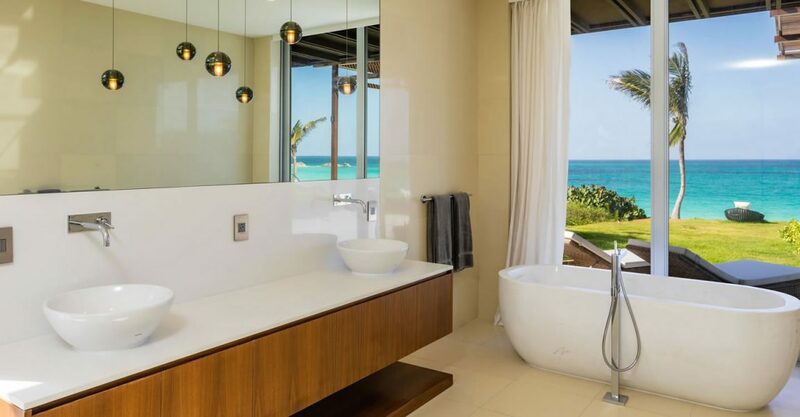 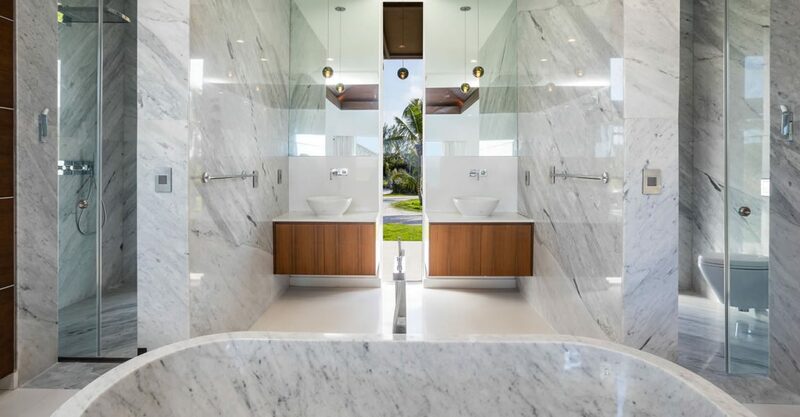 The bathrooms feature huge 10 foot walk-in showers, outdoor showers, dual sinks and huge marble tubs with stunning views. 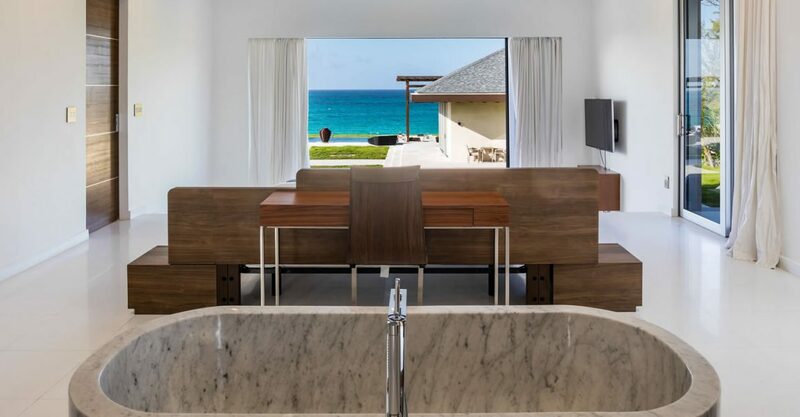 The estate comes equipped with appliances and features such as smart-phone and tablet controls, LED ambiance-lighting with dimmers, 4K flat screens and wireless sound system, camera security, highspeed internet and huge indoor and outdoor showers with multiple showerheads. 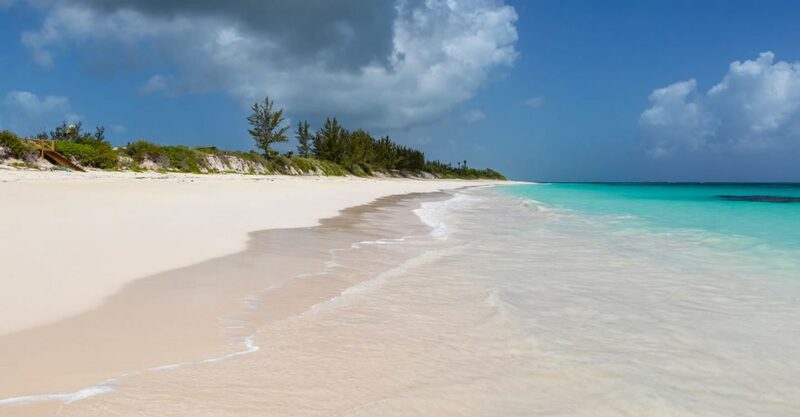 This home qualifies the buyer to apply for accelerated permanent residency in The Bahamas.